Today, debut YA author of Metawars: Fight For the Future, Jeff Norton, is stopping by my blog as part of his Metawars Blog Tour! Read on for Jeff's thoughts on technological advances, and how they inspired his novel. The pace of technology is relentless. The potential of today’s interconnected world is both amazing and amazingly scary. And it’s fantastically fertile ground for fiction. I initially conceived of my new book, METAWARS: FIGHT FOR THE FUTURE, six years ago when listening to then Environment Minister David Miliband speak about individual carbon credits. That was the autumn of 2006, and I had been on facebook for only one month. I couldn’t shake the story idea of a teenager trying to save the internet from a monopolistic social network, but it wasn’t until I was stranded by the Icelandic ash cloud in 2010 that I started crafting the book. By then, four years later, the world was even more interconnected. When the billowing ash grounded Europe’s planes, and I was unable to fly home; I turned to the web to stay connected. Screen-to-screen replaced face-to-face. This was the same month that Apple released (in the U.S.) the original iPad. Today the sky is filled with airplanes again, but all over the world people are increasingly living their lives digitally on new devices and through social platforms. Gaming has gone social, from casual games like Farmville on facebook to shooters on the Xbox network. Friends and strangers alike, from all around the world, can play and share together on the hundreds of social networks and game platforms that link us together. Even something as simple as texting takes us out of the real world for a brief moment and pulls us down the rabbit hole of a digital wonderland. With the hardware and software accelerating at such an adrenalised pace, it became clear to me that a fictional vision of the future would be dominated by interconnectivity, and challenged by issues of cyber-terrorism, privacy, security, and what it means to be alive in a digital age. These factors shaped my creation of METAWARS, a four-book saga that charts two teenagers, Jonah and Samantha (Sam) who are caught up in the battle for control over the internet in a near-future world where easy travel has become a thing of the past. What if the battle between Amazon and Apple became militarised? In a post-peak-oil future, whoever controls the web, controls the world. And what if one teenager discovered the secret locations of the farms that powered the entire internet? What makes METAWARS resonate with readers is that it feels so believable. The future is coming at us faster and faster, and all of us, just like Jonah and Sam, will have to chose how we want to balance our digital lives with our real ones. Thank you, Jeff, for such an awesome guest post! Doesn't it excite you even more for this book?! 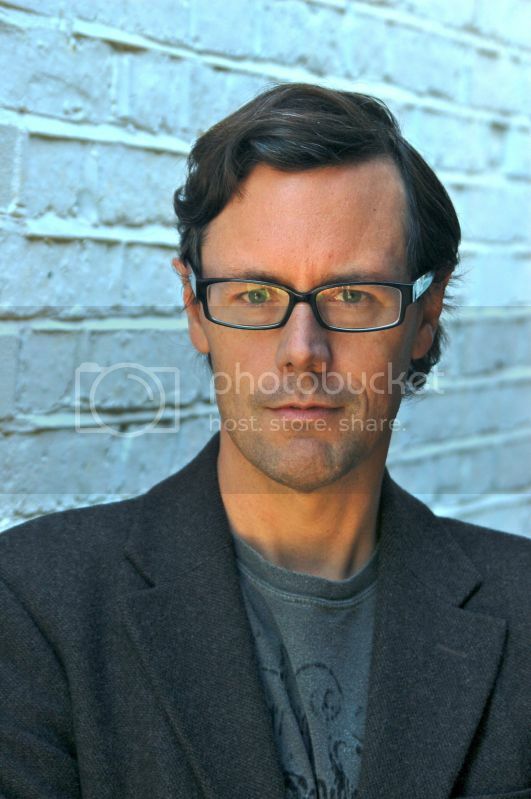 Jeff Norton is the author of METAWARS: FIGHT FOR THE FUTURE, published August 2nd, 2012 from Orchard Books. He is also a filmmaker and the founder of Awesome, a creative incubator. This post has totally made me stop and THINK for a minute.... and my thinking is producing some very creepy thoughts about the future and internet haha. With how fast technology is developing and the consumer demand for more more more... it's not so impossible that something like this could actually happen in the future. Yet as creepy as that is... it's exciting to read it fiction! 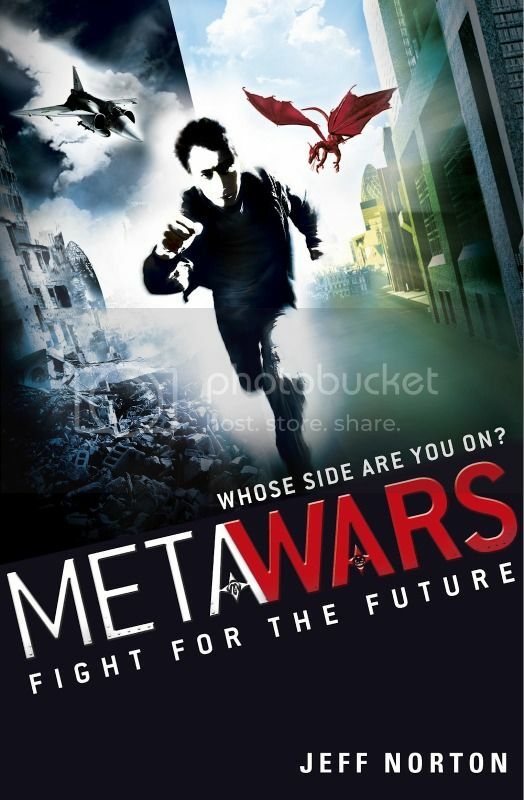 So thanks for the brilliant guest post and putting Metawars on my radar. Definitely will check this out!